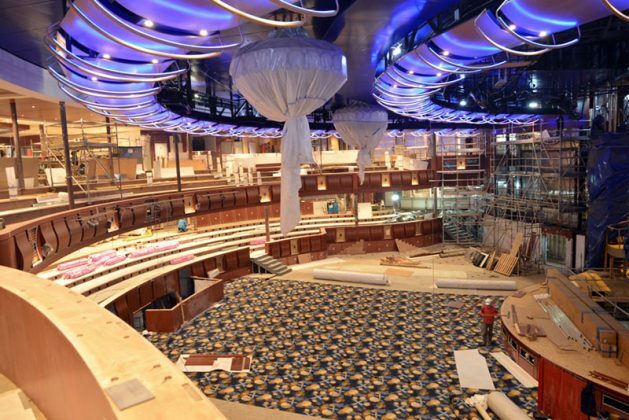 Royal Caribbean has released a new set of construction photos from onboard Symphony of the Seas during the fitting out phase. We’re starting to lose count of all the construction photos Royal Caribbean has released from Symphony of the Seas, the next cruise ship to enter service for the cruise line. You can see the previous batch of photos earlier in the month and see how far the ship has come along. Symphony of the Seas is at a wet dock at the STX France shipyard in St. Nazaire. 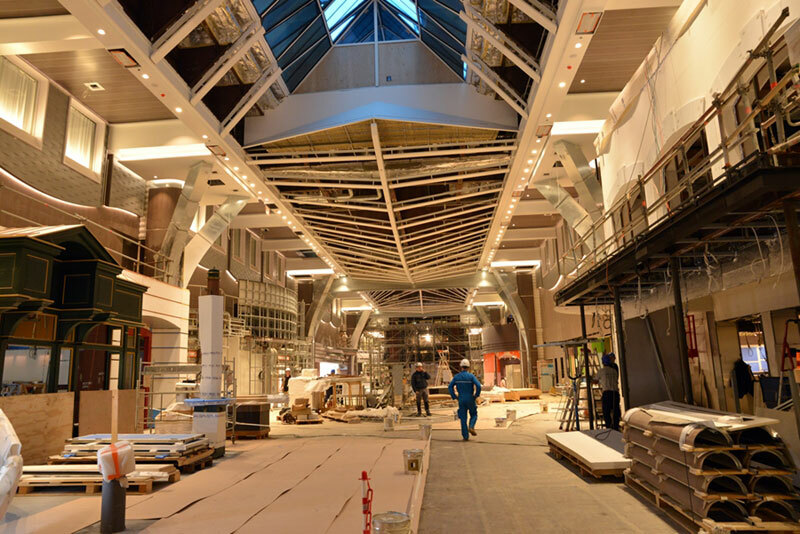 During the final stages, the ship will be busy getting some attention on the interior spaces as seen the photos above. Symphony of the Seas will finally set sail on its maiden voyage in April 2018 and begin a summer season sailing the Meditteranean. In November 2018 the new cruise ship will be based out of the new Royal Caribbean cruise terminal in PortMiami. Royal Caribbean also recently revealed new details for the ship including an enhanced Boardwalk, new entertainment shows, and new experiences. 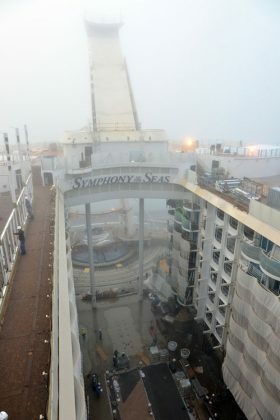 Symphony of the Seas will be 230,000 gross tons and the world’s largest cruise ship. 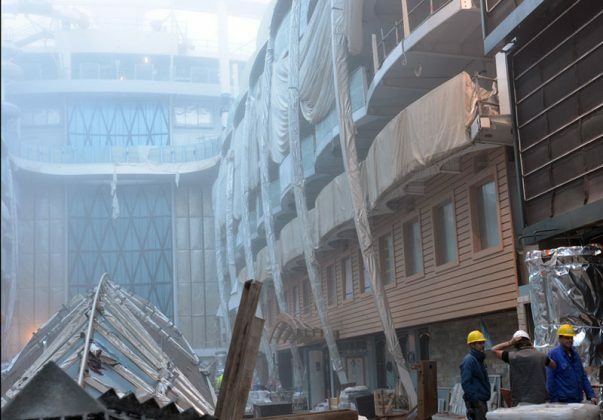 The vessel will be able to carry 5,500 guests at double occupancy.